Peacock Johnston is a leading firm in Scotland for medical negligence work. We are the only law firm in Scotland to have a Law Society of Scotland Accredited Clinical / Medical Negligence Claimant Specialist based outwith Edinburgh. Our skills and expertise are recognised throughout Scotland by lawyers, medical experts, and also by claimants and advice groups alike. Our Medical Law Partner, Andrew Pollock, is one of only 4 claimant lawyers in Scotland to be given current Band 1 ranking by the independently compiled and prestigious Chambers Guide to the UK Legal Profession. He is described by peers as a “tenacious practitioner who gets good results for clients”. Our position as a market leader, despite our size, is confirmed by being the only small law firm in Scotland to be given specialist ranking status in claimant medical negligence by The Legal 500. We handle all medical negligence cases in a sensitive, professional and thorough manner. We make it our business to listen carefully and to investigate what you, the client, may have been through so we can ultimately achieve the outcome that you want to achieve. We appreciate that so many victims of medical accidents are more interested in an understanding and closure, rather than, or in addition to, financial compensation. We want you to achieve the outcome, or outcomes, that you want. If you have a query and want to take matters further, please click on the link below. 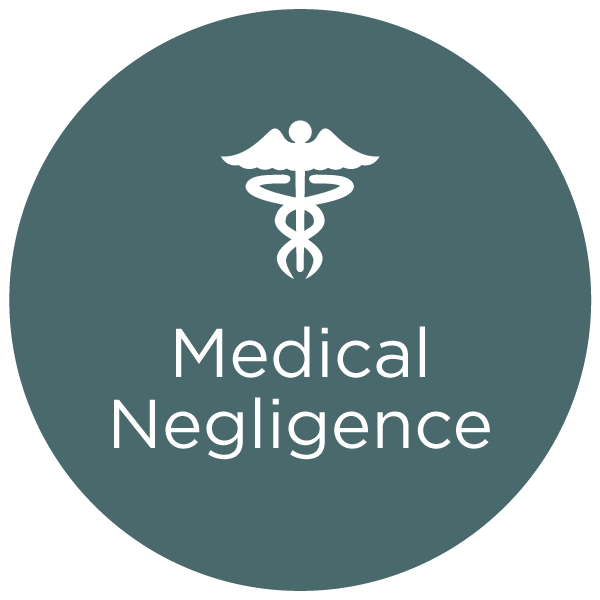 Have an enquiry about medical negligence? As can be expected, medical law is becoming increasingly specialised in line with advances in medical technology. Our team has always sought to keep abreast of these advances in order to maintain our expertise over a broad range of medical law. Today’s understanding of medical negligence is based upon the case law of Hunter v Hanley, from 1955. In order to prove negligence on the part of a medical professional, we must show that the medical professional has acted outwith accepted medical standards to such a degree that no other medic in the field, and acting within ordinary competence, would have acted in the same way. Of course, there are further complications involved, in that account must be taken of the skill level of the medical professional involved. For example, if the treatment in question was performed by a trainee hospital doctor, we would require to show that no other competent trainee hospital doctor in that field would have treated you in such a way. It is not up to us to decide whether or not there was negligence in your case. For that, we have to go to an independent medical expert practising in the same field of practice as the person against whom the allegations of negligence are made. Over the years, we have built up contacts with many leading medical experts throughout the UK. Finally, simply because the opposing party have an expert who states that the healthcare professional treated you appropriately, the case is not automatically lost. The English case of Bolitho – in 1998 – explained that in the event that experts cannot reach a consensus on your care, each must satisfy the court – should court proceedings be required – that they have reached their conclusion logically; that the facts of the case have been fully understood; and that a proper assessment of the risks and benefits of the actings was carried out. Unfortunately, this is not the end of the matter. Once we have shown that you were treated negligently, we need to prove that such a failure caused you harm. If the result is that the negligence would not have made any difference, then again there will be little, if any, claim. It would only be if the negligence made a material difference that there would be a claim. In showing causation, success is based on showing a material difference based on the balance of probabilities, meaning that the chances of non-negligent care having a materially different outcome must be greater than 50%. In any claim involving compensation arising out of medical negligence, unless the claim is settled, any Court proceedings must be raised and served on the negligent medical profession or his/her organisation within three years of either the date of the negligence or the date when the negligence reasonably should have been known. If this does not happen, then you lose your right of claim. For children, the time limit expires on the child’s 19th birthday. If you are in doubt as to when the 3 year time limit runs from, then you must obtain advice as a matter of urgency as the rules on time limits are significantly different in Scotland compared to other parts of the UK. When you first make an enquiry with us, an experienced member of our medical law team will discuss your case with you. We will then arrange a detailed meeting to discuss your case and the surrounding circumstances. We fully appreciate that geography can sometimes prevent us from meeting with our clients, but in such an instance we are more than happy to rely on telephone or e-mail exchanges. It is also possible for a member of our team to visit those clients less physically able to meet with us in our office. 1. Name& Address of GP Practice of Patient & name of any hostpital(s) attended. 2. (a) What treatment do you think was negligent, (b) where did that negligent treatment happen and (c) when did that negligent treatment happen? 3. What injuries / symptoms have you suffered because of the negligent treatment? 4. When and how did you first become aware of the negligent treatment? Have you gone through any Complaint / NHS Internal Complaints Procedure?